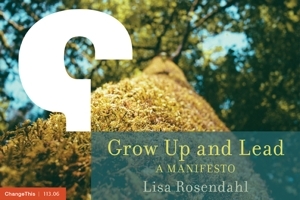 Lisa Rosendahl — I Have Baby Pictures. I Know Things. Celebrating differences. I do it every day with my daughter. She is creative. I am not. First grade is not quite over yet and she lets me know she wants a new class of kids for second grade class because she wants to meet new friends. I seek out the familiar. I am not quick with my responses; my "should have said" conversations are brilliant!. She is very quick. I have been working with a personal trainer and my sessions are about over. I am trying to decide if I should continue. It is fun, I can see results and I am not at all confident that I will get to the gym without someone to hold me accountable. So, I was talking to my husband about this the other night and ended with a long drawn out, "I don't know what to do. I am sooooooo perplexed!" Without a beat, a moment of hesitation, or a blink of the eye, my loving daughter comes back with, "Mom, does perplexed mean fat?" First grader, fifth grade reading level, she knows exactly what perplexed means and the look on her face was priceless. Her eyes were big, her mouth was in a huge smile and she was laughing out loud inside, trying not to burst. Just wait until you get a little older sweetie, just wait. Remember, I have baby pictures. I know things.